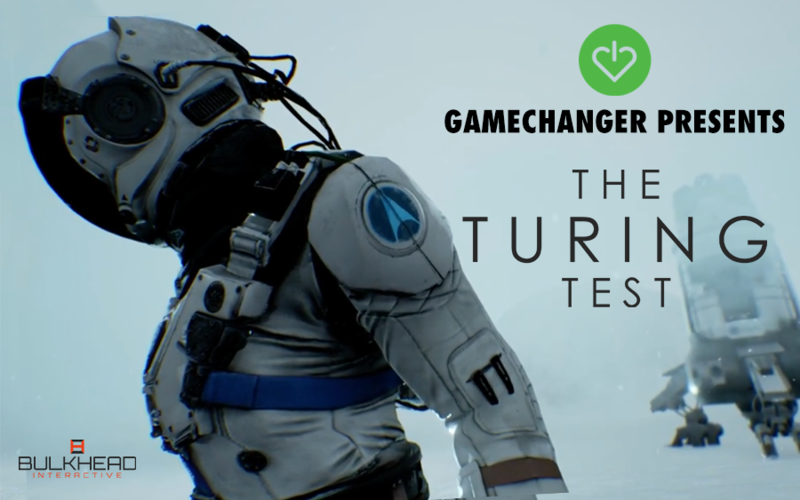 GameChanger Presents: The Turing Test Pre-Launch Charity Stream! Win game codes for The Turing Test, watch pre-launch live stream content & raise money for kids with cancer! The Turing Test is released on August 30th - to celebrate, Xbox and Bulkhead Interactive are hosting an exclusive pre-launch Charity Stream to benefit GameChanger Charity and offer the community a sneak peek into this highly anticipated new game! Overview: Leading up to The Turing Test's launch on 8/30, we're hosting a week-long event of activities/promotions featuring exclusive early-access content, live-streams on Twitch & exciting prize giveaways including game codes for The Turing Test! Incentives, Prizes & Giveaways: Donate for a chance to win copies of The Turing Test, Xbox Live codes, $50 gift card & GameChanger swag! Spread the word for to win a Xbox Prize Package! 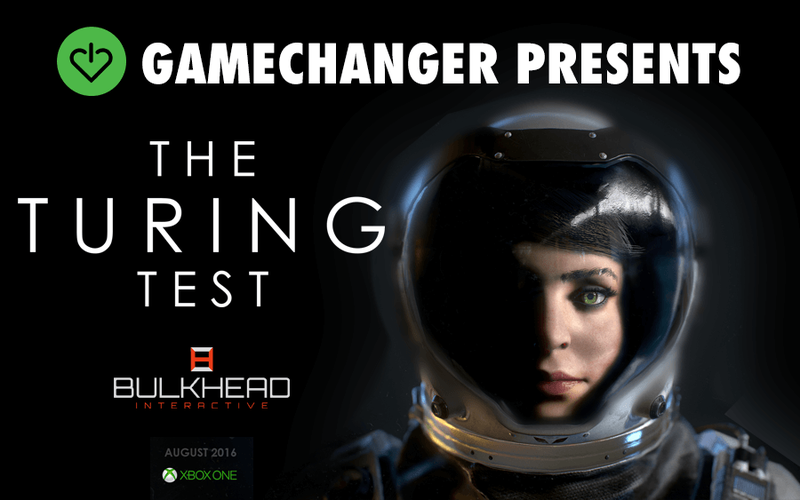 - Donate to GameChanger for a chance to copies of The Turing Test & other prizes! - Watch ScarletR0se stream The Turing Test on Twitch - Weds (8/24) from 5-8 PM PT! - Enter into our social media contest for the Turing Test Prize Pack giveaway! - Spread the word & tell your friends about the Turing Test event with GameChanger! Giveaway for GameChanger's Turing Test Launch Event! Donate for a chance to win copies of The Turing Test on Xbox One & awesome prizes! - Donate $5+ for a chance to win a digital copy of The Turing Test (Xbox One) - 10 COPIES/WINNERS! - Donate $10 for a chance to win a $50 Amazon gift card, 1 digital copy of The Turing Test & 5 months of Xbox Live! - First 50 donors to give $10 receive a digital code for 1 month of Xbox Live! 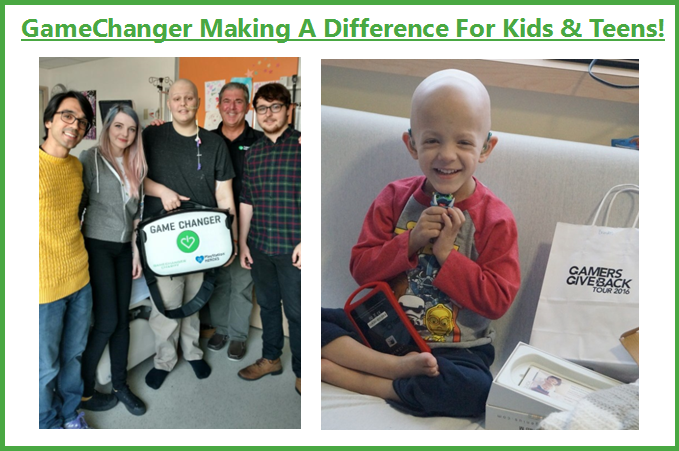 - Donate $50 for a GameChanger Swag Pack - Green Monkey plushy, stickers & personalized thank you letter! Here's your chance to watch exclusive The Turing Test content before its released on 8/30! Don't miss ScarletR0se, PixelMonkey + more surprise "to be announced" streamers play The Turing Test a week before its out! Watch the "Let's Play" live stream, solve the game's puzzles together and help the streamers on their quest! ScarletR0se and the streamers will have copies of The Turing Test (Xbox One version) to give out during their stream, so mark your calendars & we'll see you there! We're excited to announce this Turing Test event with Bulkhead Interactive kicks off a partnership between ID@Xbox, GameChanger Charity and Indie Developers around the world! Our new program "GameChanger Presents" will host monthly online events showcasing a new Indie Developer/upcoming pre-release game featuring early access gameplay, prizes, streamers & much more. GameChanger and ID@Xbox, Microsoft’s self-publishing platform for indie game developers, are proud to sponsor the program in the hopes of creating an AWESOME event for the community, bringing awareness top upcoming indie titles & raising meaningful funds for GameChanger's mission of helping children with cancer! Watch the video trailer for The Turing Test to learn more about the new game before it's released on August 30th! Recent Impact: Over the last 12 months, GameChanger delivered gifts, food and inspiration to over 8,000 patients/staff while visiting 30 hospitals on the Gamers Give Back Tour. OFFICIAL RULES, TERMS & CONDITIONS FOR 'The Turing Test Pre-Release Charity Event’ event hosted by ID@Xbox benefiting GameChanger Charity. All donations will be processed & given to GameChanger Charity, a 501c3 registered nonprofit organization (IRS Tax ID: 26-3438815). Funds will be collected via GameChanger’s software platform “Donor Drive” at http://gamechangercharity.donordrive.com/event/xboxIDturingtest , and deposited directly into GameChanger's accounts after successful processing by merchant providers. The intent of this promotion/program is to generate fundraising & awareness for GameChanger’s mission to improve the lives of children with life-threatening illnesses. To help promote the event & GameChanger’s fundraising efforts, the charity’s page will offer several incentives, rewards & opportunities for donors/event supporters to receive a digital/physical prize. Please review the Official Rules before participating. REWARDS/PRIZES/PROMOTIONS: Donations are accepted from August 22nd - August 31st. Digital incentives & prizes are available to all donors from any country on an online site (or until supplies run out). ATTENTION INTERNATIONAL DONORS - Some donor prizes/rewards may not be available to International Donors. Any prize requiring postage (must be shipped in the mail) is restricted to to donors in US & not available to International Donors - therefore, international donors are not eligible to win/receive the $50 GameChanger swag pack or GLEAM giveaway. NO PURCHASE OR CONTRIBUTION NECESSARY TO ENTER OR WIN. Void where prohibited or restricted by law. Sweepstakes is offered only in the (50) U.S. to legal residents of the U.S. who are currently physically residing in the U.S., and are 13 years of age or older at time of entry. Ends 11:59 p.m. PT on 8/31//16 unless noted otherwise. To enter without making a contribution, print out the Entry Form and follow the instructions. Mail-in requests must be postmarked no later than 8/30/16, and received no later than 6:00 pm PT on 8/31/16. Winners will be notified by 9/5/16. If donors wish to contribute but do not wish to be entered, they can type out a donation comment to remove themselves from the entry. Limit (5) entries total, per person, regardless of overall Contribution amount (if applicable), or method of entry. Odds of winning depend on the number of eligible entries received. Subject to complete Official Rules.